A ground sirloin patty topped with roasted garlic mayonnaise, caramelized onions, Muenster cheese and bacon on a pretzel bun. Combine Hellmann's® Real Mayonnaise and garlic, and chill. 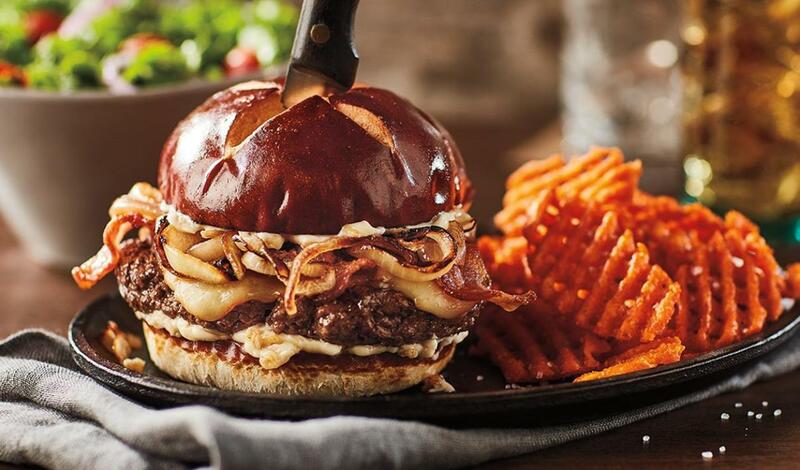 Top the burger with caramelized onions and bacon.